90%, 35%, and 19%. Can you guess which is the percentage of providers who think it's important to collect self pay dollars at or before the point-of-service, and which is the percentage of providers actually making an effort to do so? Read on, not only for the details of the study being referenced, but also for a window into what it really means to view your patient as a consumer. Today we're sharing an article by Healthcare IT News called "Consumerism Having an Impact on the Revenue Cycle." Editor Mike Millard, who authored the piece, cites a recent study where 90% of the providers surveyed reported that, considering our current climate of high-deductible health plans, they considered it important to collect money from patients at or before the point of service. Yet, as these statistics reveal, few are doing anything about it. There are more interesting stats and you can access the article and a link to the report here. This concept - the patient as a consumer - is turning up everywhere. And that's precisely the reason we are compelled to repost our previous three-part series Putting Your Patients at the Center of Your Self Pay Strategy. Here is the link to Part 3, the final segment, in which we focused on the benefits of automated dialing technology in your patient collections efforts. In Part 1, we shared a beckershospitalreview.com article that looks at how patient satisfaction “has a significant impact on a hospital’s reputation in the community, as well as its bottom line.” We offered a link to our previous post on patient portals. In Part 2, we offered a new Hospitals & Health Network (H&HN) magazine series titled Consumerism Hits Health Care and linked to our previous post on billing statement practices. 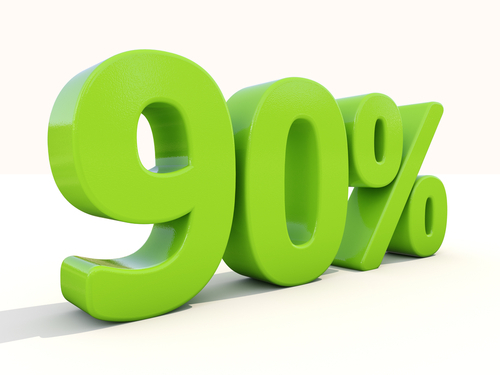 We're guessing you're part of the 90%. But what steps are you taking to be part of the 35% or the 19%? Drop us a line and give voice to your successes as well as your challenges in thinking of patients this way.